The Toshiba Qosmio X770 is aimed squarely at the gamer in you, with an angry design sure to send hordes of schoolboys dizzy with sugar-fuelled excitement. The Toshiba Qosmio X770 may have a design that'll appeal mainly to excitable schoolboys, but it's packing some powerful specs and offers a Full HD, 3D-capable screen. If you can put up with the awful battery life, the X770 is a decent option for gaming. 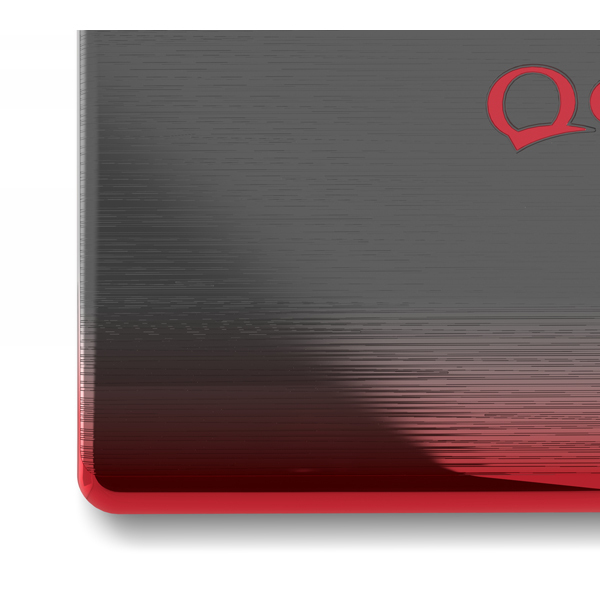 The QOSMIO X770 is a monster of a multimedia and gaming system, from the size to the specification to the design, to the fairly hefty price tag. It certainly won't suit everyone, and it's overkill as a general purpose notebook, although you wouldn't have any complaints about performance for video editing, 3D rendering and transcoding. This monster is all about entertainment, especially with the 3D support. The HD screen almost matches the Dell XPS 15z and the sound beats just about every other notebook on the market. If you do have the cash, the taste for weird metallic colours and the need for some serious entertainment, the QOSMIO X770 is an impressive system that could be the monster you're looking for. For the 90% of the Australian population who can view a 3D signal, it's never been a better time to watch your movies and games. Nearly every TV on the market is now 3D ready, and we're starting to see the technology spread its immersive tentacles into the gaming notebook market. Overall this is a stellar gaming and 3D movie machine; just don't expect to play the latest and greatest games with the 3D switch enabled. This year is the year of 3D. We've heard that refrain—seemingly, on repeat mode—for a couple of years now. And while "true" 3D gaming and movies have not quite set the tech and entertainment worlds aflame, we've definitely seen a slow smolder of late. 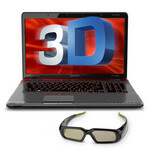 This huge laptop is one of the best 3D-capable machines we've seen, especially for gaming. 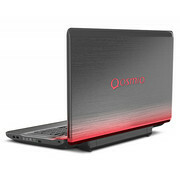 The Toshiba Qosmio X775 features an Intel i7-2630QM processor, supported by the new Intel GTX 560M gaming card. My first ever laptop was – I’m writing on it now – a single core Toshiba. For durability they are impeccable. 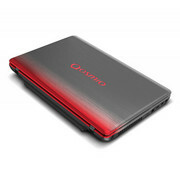 I also remember seeing my first quadcore laptop – a quad Qosmio in brilliant red. Sell the car, get one of these – people will live in the cloud before this lets you down. By now, you've probably figured out that Toshiba's latest Qosmio is a bit of a Quasimodo -- beautiful on the inside, but covered in enough repulsive blemishes to give pause to the Esmeralda in all of us. Beneath its rough exterior lies an all in one platform tailor made for the very latest in media entertainment: extreme graphics, a full-HD display, Blu-ray rewritable / DVD combo drive, and even NVIDIA 3D Vision baked right in, glasses included. 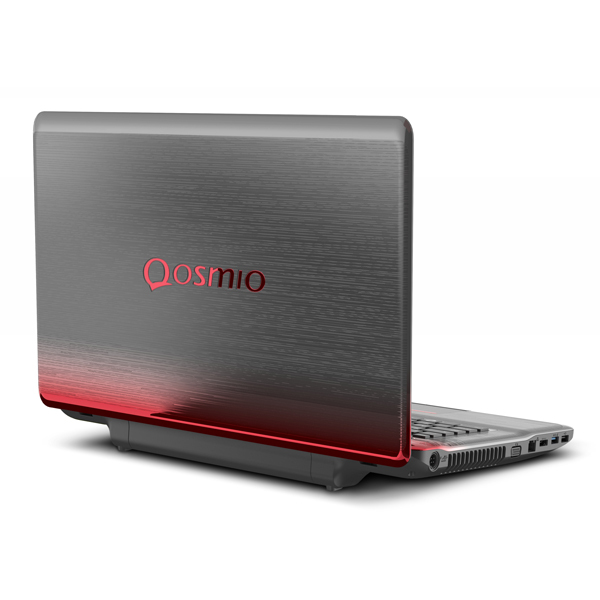 Reviewing this Qosmio proved to be a pleasant experience, thanks to its great performance and gaming, its stellar audio and video, and its 3D capability (despite issues there). The hot-rodder good looks aren't so wild that the more staid consumer shouldn't consider plopping down their desktop replacement allowance on it--especially those who want a great entertainment notebook. The Toshiba Qosmio X775-3DV78 does have dual-graphics that is powered by Nvidia Optimus technology, which means you can use the discrete Nvidia graphics when needed and the integrated Intel HD graphics when lots of performance isn't needed or when you want to stretch battery life. This switching is done automatically and seamlessly based upon your needs, but you can manually override it too. Performance with the discrete Nvidia card was definitely better than most other laptops, so gaming is this laptop's strong suit. With the included battery, expect battery life to be about 2 hours on average, which is about an hour or so less than other similar laptops. While low, it isn't unexpected considering that it is a desktop replacement and has some powerful internals. A gaming laptop is supposed to be over the top, integrating some of the most advanced parts known to man. The Toshiba Qosmio X775-3DV78 succeeds in areas such as gaming performance, screen technology (with 1080p resolution and 3D capability), and feature integration. But design is where it falls flat-footed, as its poor man's paint job and too-bold texture don't reflect the laptop's hefty price—and battery life could stand to improve a lot. The Alienware M17X (Sandy Bridge) costs significantly more, but it's worth every penny, and the one I would recommend instead. 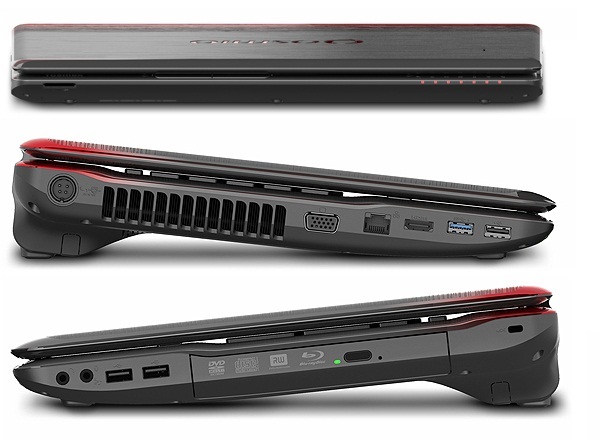 The X775-3DV78 provides strong graphics performance and booming sound. Its 3D functionality is also top-notch, although you'll have to sacrifice frame rates for the extra depth in your gameplay. Our biggest issue with the X775 is its design. We just don't find it attractive. But if you dig the Qosmio's look, then you won't be disappointed with this multimedia powerhouse. 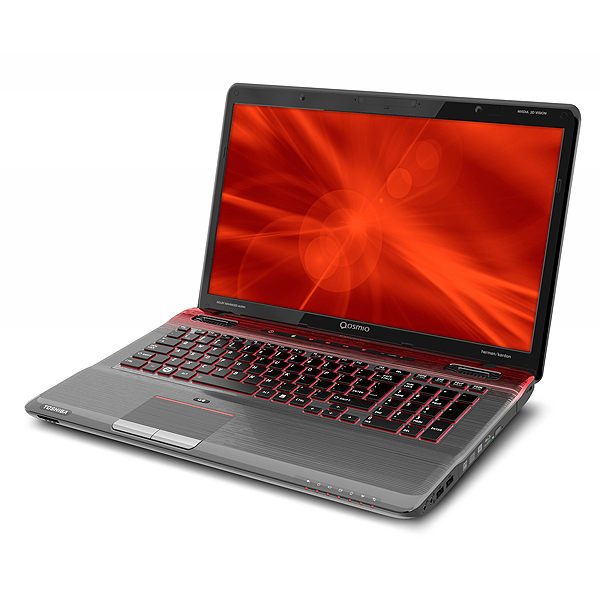 Toshiba Qosmio X775 review – gaming or multimedia; you decide! All in all the Qosmio X775-3DV78 ca pull its weight around. It has solid specs, good build quality and the 17.3 inch display makes it worth the money. Combine that with an i7 and a GeForce 560GTX hiding under the brushed exterior and you have quite the system. One of the biggest bonuses of the system is its audio system which manages to produce some of the highest quality effects and one of the best sounds out there. In stark counterpoint to small, fast systems like the MacBook Air, big-screened, heavy, packed-to-the-gills desktop-alternative laptops are still alive and well, although sometimes a little hard to justify. Those in the market to spend more than $1,000 and get a 3D-enabled, Blu-ray-equipped laptop with plenty of horsepower for games should strongly consider Toshiba's latest high-end Qosmio. The Toshiba Qosmio X775-3DV78 is the high-end model in the new X770 line. 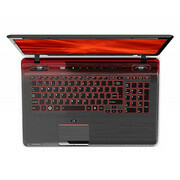 Retailing for $1,899, this particular laptop is capable of running 3D games thanks to the included NVIDIA 3D Vision kit and new GeForce GTX 560M 1.5GB GDDR5 video card. Although the port placement isn't the best, the Toshiba Qosmio X775-3DV78 makes a very nice gaming and multimedia machine with a full 1080p 17.3-inch display. 75.82%: Weltbewegend ist diese Bewertung nicht. Obwohl es bei den meisten Websites einem "Befriedigend" entspricht, muss man bedenken, dass es kaum Notebooks gibt, die unter 60% erhalten. Verbalbewertungen in diesem Bereich klingen oft nicht schlecht, sind aber oft verklausulierte Euphemismen. Dieses Notebook wird von den Testern eigentlich als unterdurchschnittlich angesehen, eine Kaufempfehlung kann man nur mit viel Wohlwollen darin sehen.